Public figures: Any personality who belongs to the field of sports, media, politics, films etc. or has recognition of any kind, or an influential social background can get their account verified with much ease and convenience as their identification is already established in various ways, which simplifies the process for them even more. Government officials: An employee of a government department or authority has an identity, which needs no further requirement to get approval from any other organization. Hence, to verify such profile isn’t time-taking or complex. Big business entities: Companies or brands with huge turnovers and a big consumer base do not need any reference or introduction. They are in no need to provide any proof for their identification. Therefore, in such cases getting any approval on a social network is quick and hassle-free. Identity proof: Document from an authority that certifies your identity such as birth certificate, passport, driving license, etc. Articles of incorporation: If it’s a media, sports or entertainment company, you must give reference of your articles of incorporation to establish the fact legally. 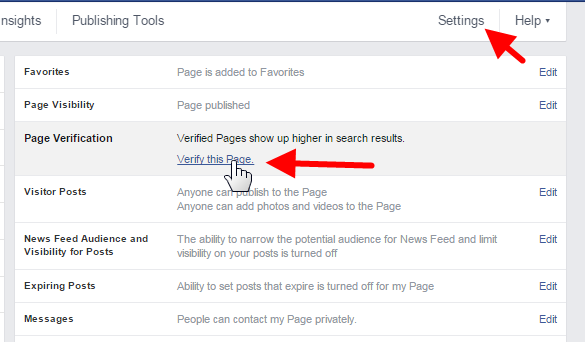 Please note that there are three types of verification process available for Facebook page such as Automatic verification, filling form with submission of ID proof & Manual verification, which mostly works for artists/ companies/public figures. 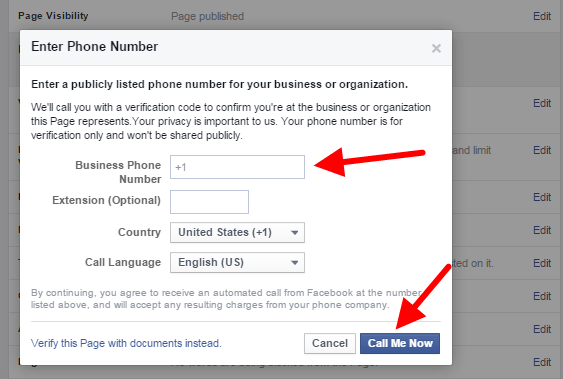 For many users Page Verification option may not be visible because Facebook has taken down this option and stopped taking any requests for Page verification from many countries. See also: Increase Facebook Page and Photo Likes Easily. Give complete and exact information about your page with whatever details it asks you to fulfil like category (celebrity/ blogger/ journalist/ musician/ writer), start date, name, web address, etc. It should not be filled casually or just for the sake of it. The given information is taken seriously and has to be follow all the formalities. About section has to be maintained in good shape, it should not pitch any outdated information or factually false detail. Rather must be updated on a regular basis and something new should keep on adding to it. As a business company you should attach your website or blog with the Facebook page, it helps in setting-up a credible impression and smoothens the process. This means that the category must explain about the publications or links of the articles related to the functioning of the company, achievements or awards received from a renowned entity. Certificates of validation from a registered authority of your field so that it can legitimately establish your identity. What you do, and how you do it? Is something you are liable to explain about, at least to those who are going to judge your online presence depending upon the legitimacy you will produce in terms of certification and documentation. Make sure to include all relevant points in the description. Its important to mention about the personal achievements and the objective of the company as well. When you present a profile or page with accurate information the last but not the least requirement is that the provided details must look convincing and worthy from tear perspective. It simply means, you should seem deserving for the blue badge. Would you be influential for the users? Do you have anything new to offer? Why you should be awarded with verification badge? Your profile details or about section should answer all these questions. Otherwise, it would become hard for you to get verified. Select your page to be verified, choose files to attach your ID proofs, add link of the website and submit all the details. 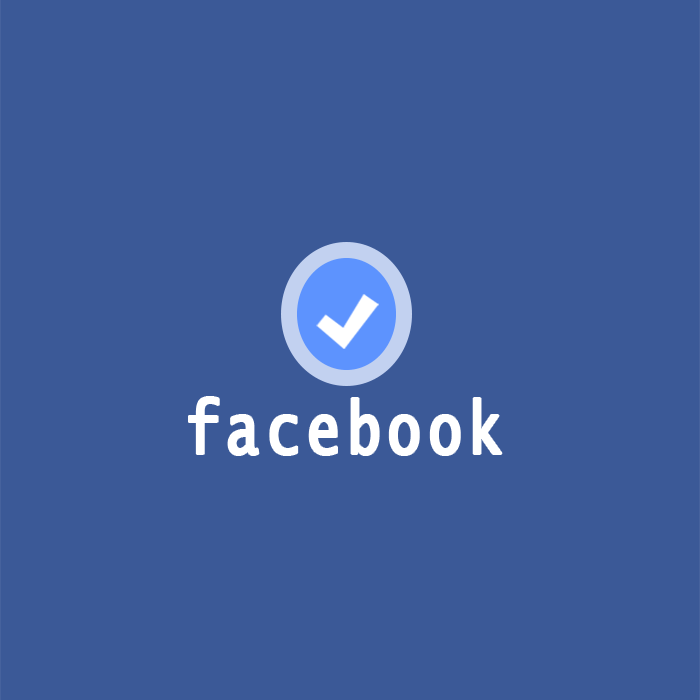 Within a short time, you will receive a mail from Facebook that the process has been successfully submitted. Later on, they will confirm about the verification status through mail. Stay cautious about some misquoted and misunderstood facts about the verification process. Please do not believe any such misconception that would confidently tell you that one must have a minimum count of 20000 followers to be eligible for getting verified on Facebook profile or page.